In this post we will explain as clear as we can how to perform the mod installation – World_of_Tanks. we are not talking about modpacks which have their own installer but single about mods. Some of you will find this article boring as you already know how and where. But as we all know Rome wasn’t build in a day. Some of us might not know where to upload files or into which folder. Mods are made by various people, developers. We are grateful for that but each one of them might prepare his/her mod in different way. 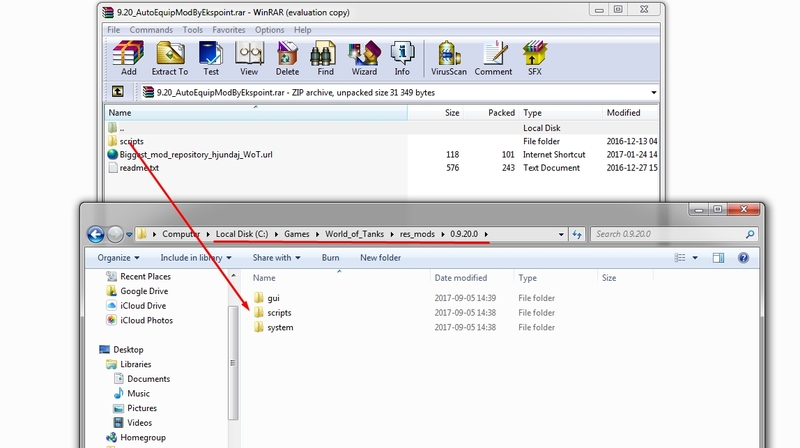 mods is a newer folder implemented by Wargaming and res_mods is the older one, but both still works and this might be the biggest confusion for everyone. mods folder it means it will go into mods directory in your game folder. 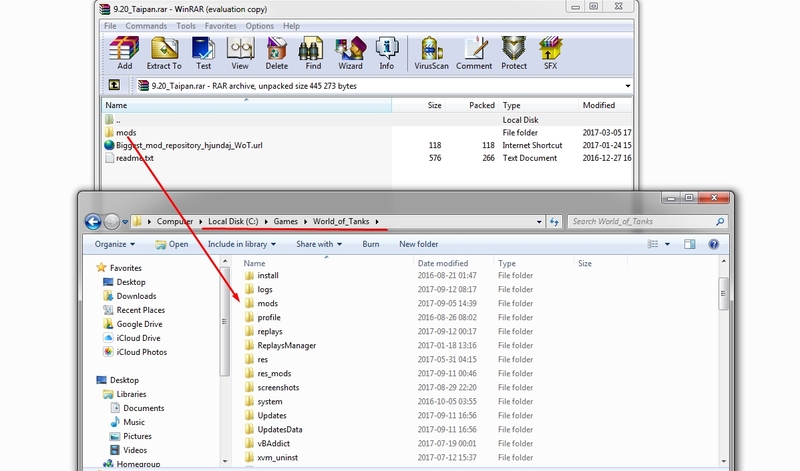 And now couple of screenshots to give you better picture of how and where to upload the mod files. 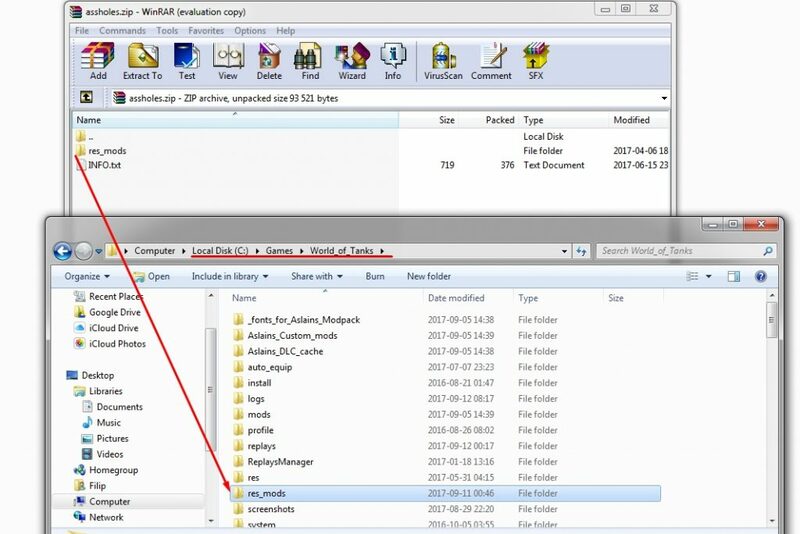 Additionally you 2 YouTube clips (in English) showing mod and modpack installation. They were recorded with old WoT version but are still relevant. If you are still lost and looking for more information please leave a comment. Hi. Find us on facebook and using messenger we will try to help. A question to the mod Black gun sight. I will install the mod but i never become the red cross in the middle of the sight. What i must do that it works? As far as we understand photos and mod itself you get that red cross in sniper zoom. Czy napewno ten AimBot jest kompletny??? Bo od wczoraj siedze i nic niechce dzialac po instalacji…A wczesniej działało. Wczesniej działał po rozpakowaniu i wrzuceni go do folderu z gra. 1.0.1 PROAIM AIMBOT BY MAKCT . Ten bez zadnego problemu dzialal po rozpakowaniu i wlozeniu go do folderu z gra. Where do the fonts come from? Only for some mods where creator releases free version and extended one for which he charge you might need it but that is totally up to creator of the mod. Not us. For 1.2.0.1 big problem !!! XVM + here sight mod = colision !! !